Every festival or tradition in the world has a host of unique elements associated with it. 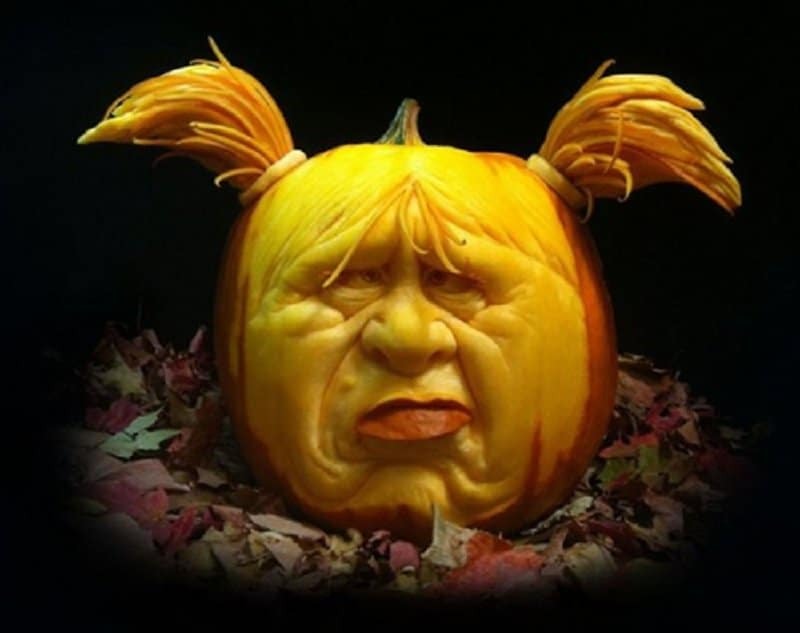 When you think of Halloween, it is hard to picture the holiday without candy, costumes and of course, pumpkin carvings. 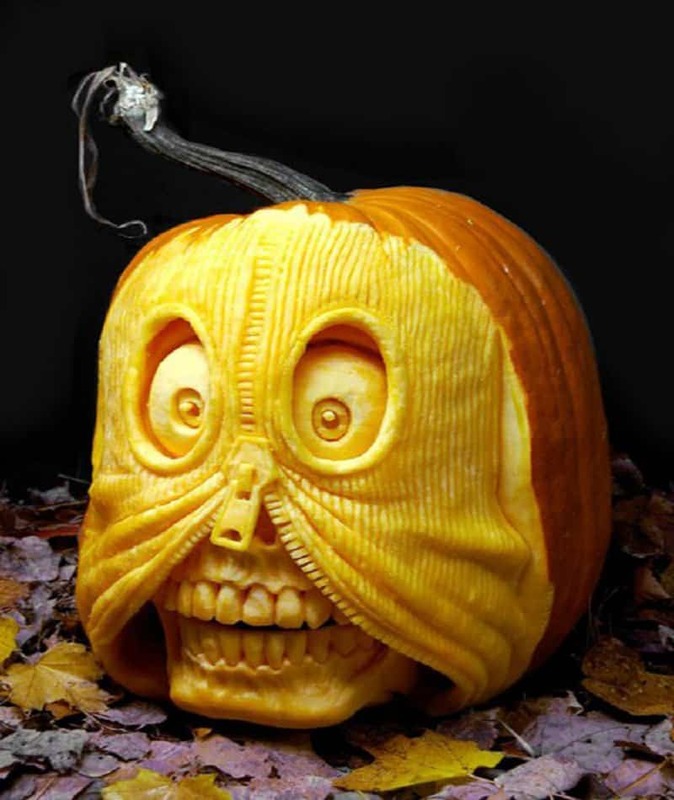 A lot of people like to carve the traditional scary face onto a pumpkin, but a few people have put in a serious effort to make their pumpkins look more creative. 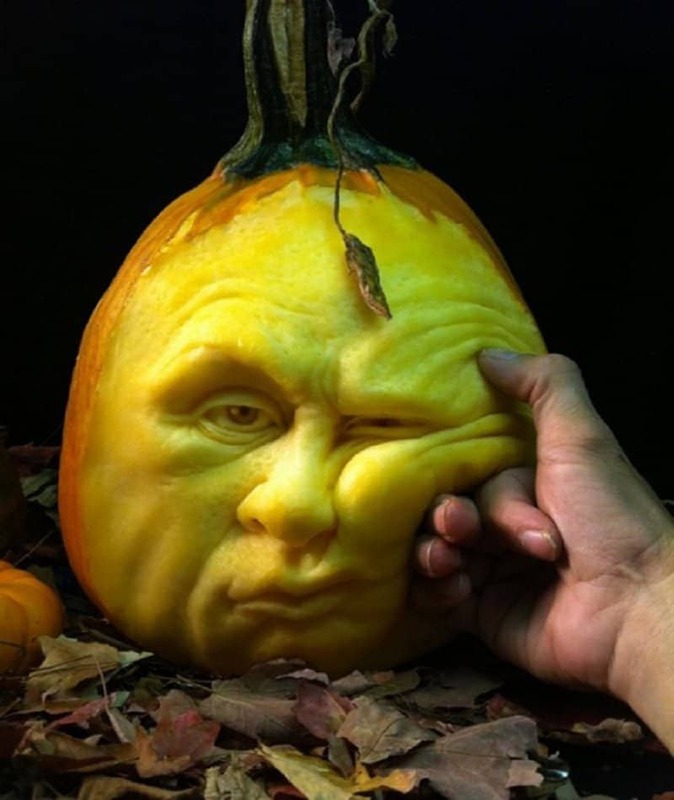 The following is a list of 10 amazing and strange pumpkin carvings. 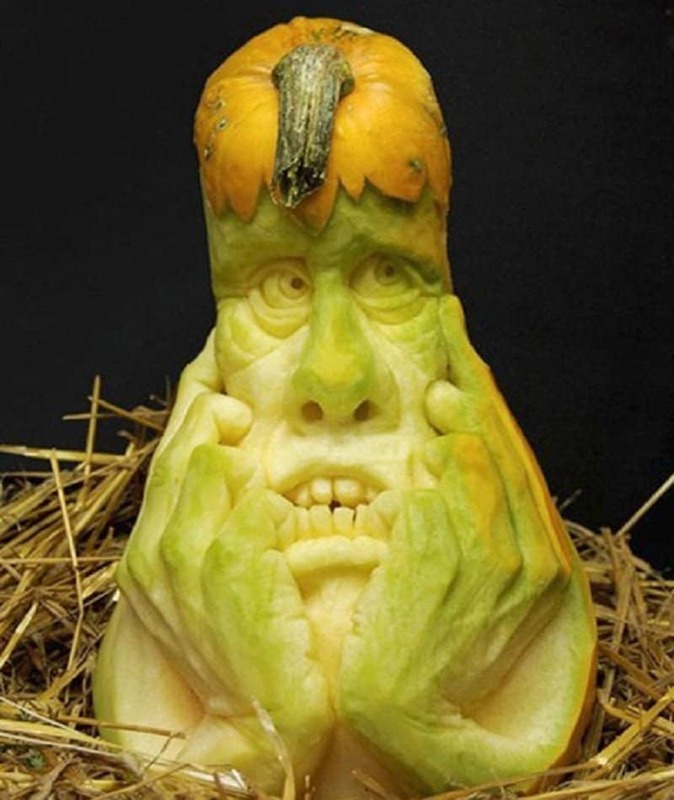 This is a carving of a pumpkin giant who appears to be in deep thought. 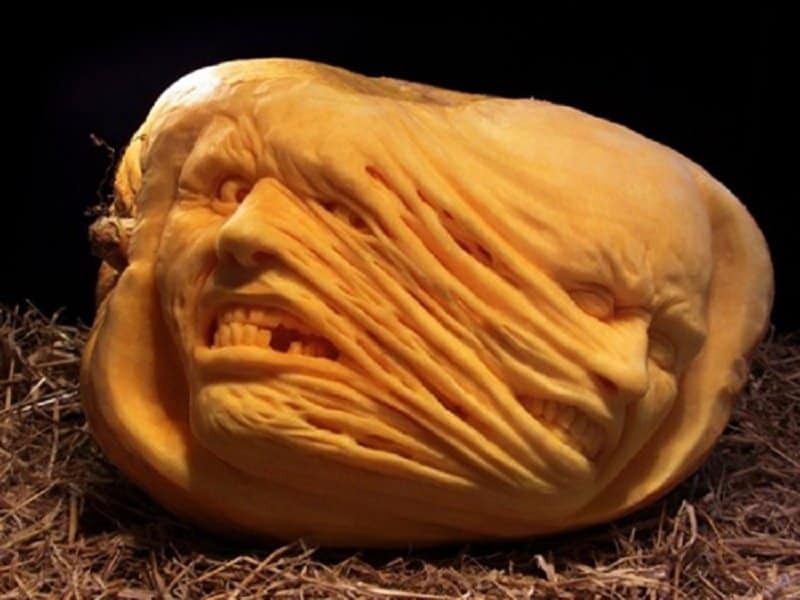 An awesome carving that shows the transformation process whenever someone puts on the legendary ‘Mask’. 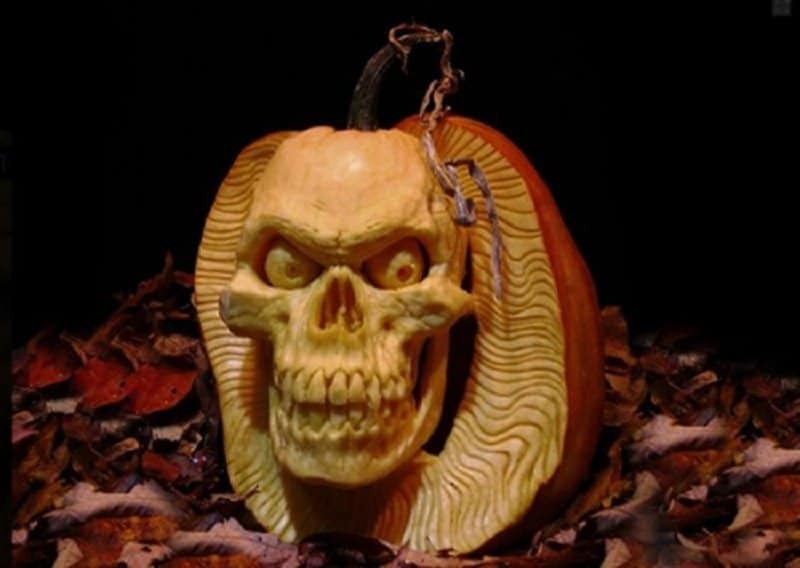 Instead of carving a regular old scary face, this person has made a unique skeleton wearing a zipper mask. This strange oddball creature is sure to scare any kids that dare to trick or treat at your house. 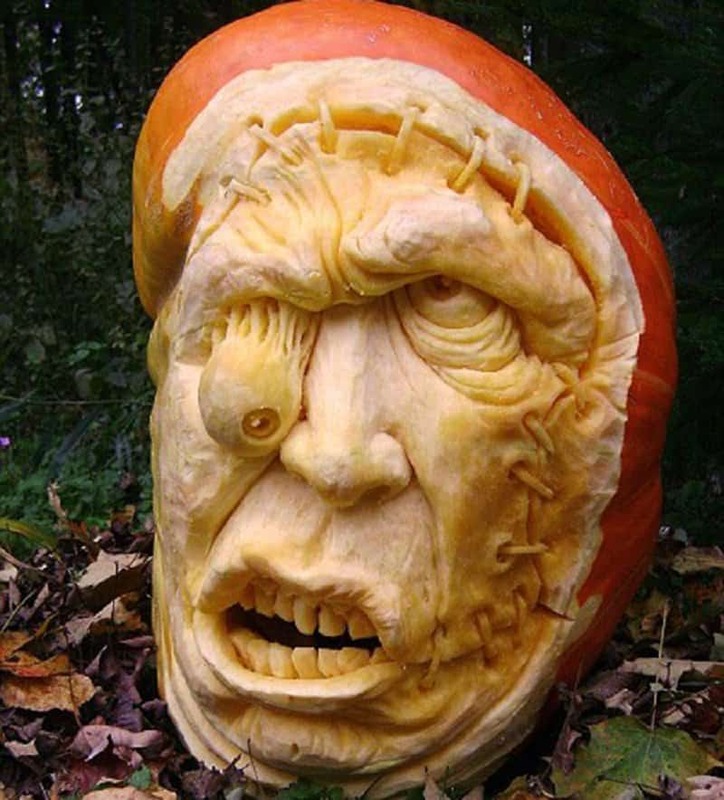 A rotting fruit is used to pay tribute to the wonderful world of zombies. Don’t you just hate it when you pinch someone and it gets zero reaction out of them? 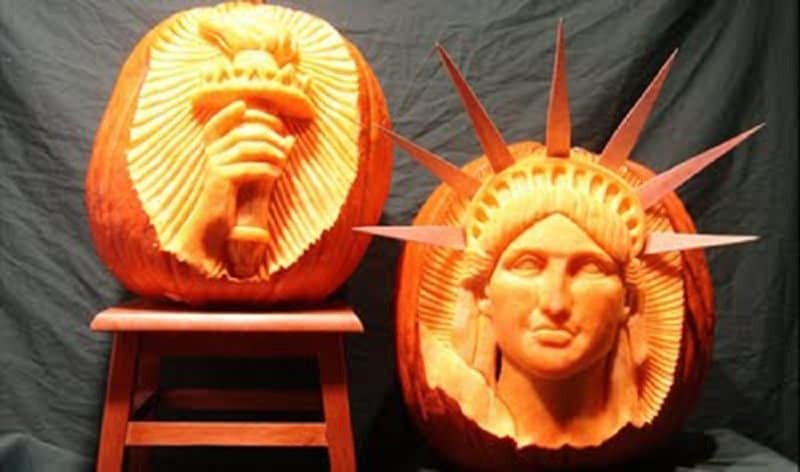 Two epic carvings come together to pay tribute to the Statue of Liberty. 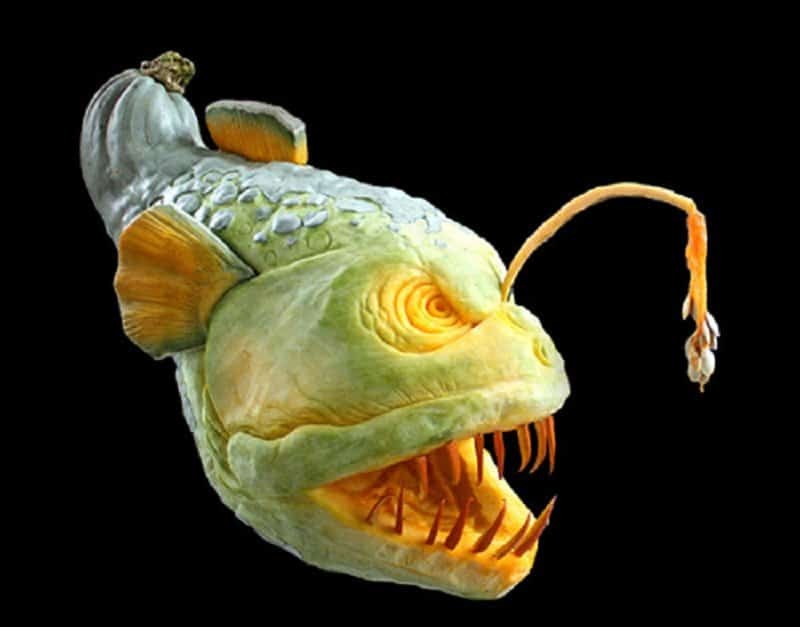 An extremely realistic carving of a deep-sea predatory fish. A fan decided to honor Jeff Dunham’s famous ventriloquist dummy – Achmed the dead terrorist. 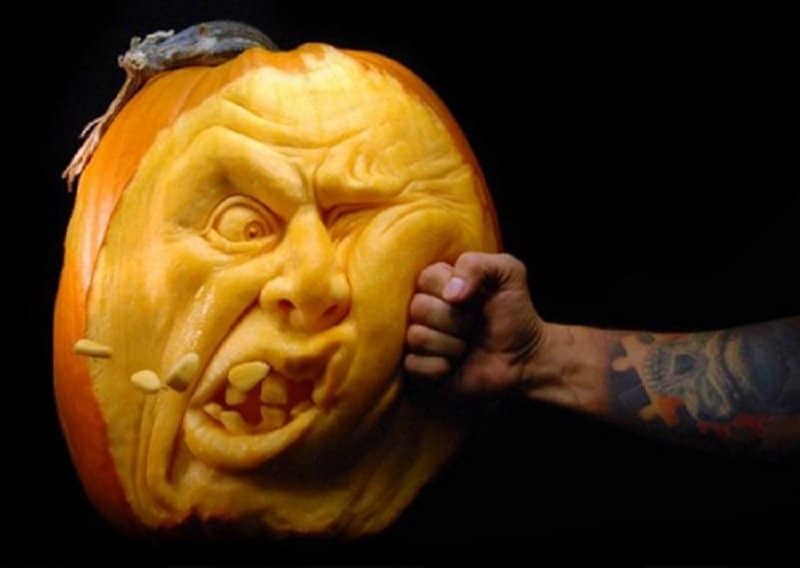 A hilarious carving of a man being punched in the face in super slow-motion.